Heat a Belgian waffle iron. In a small bowl, combine almond flour, masa, matcha, baking powder and sea salt. In a large mixing bowl, beat the egg whites until soft peaks form; set aside. In another mixing bowl, combine milk, honey or agave and egg yolks; mix well. Add dry ingredients to milk mixture and mix until smooth. Mix in coconut oil until well-incorporated. Gently fold in whipped whites with a spatula until combined; fold in chiles. 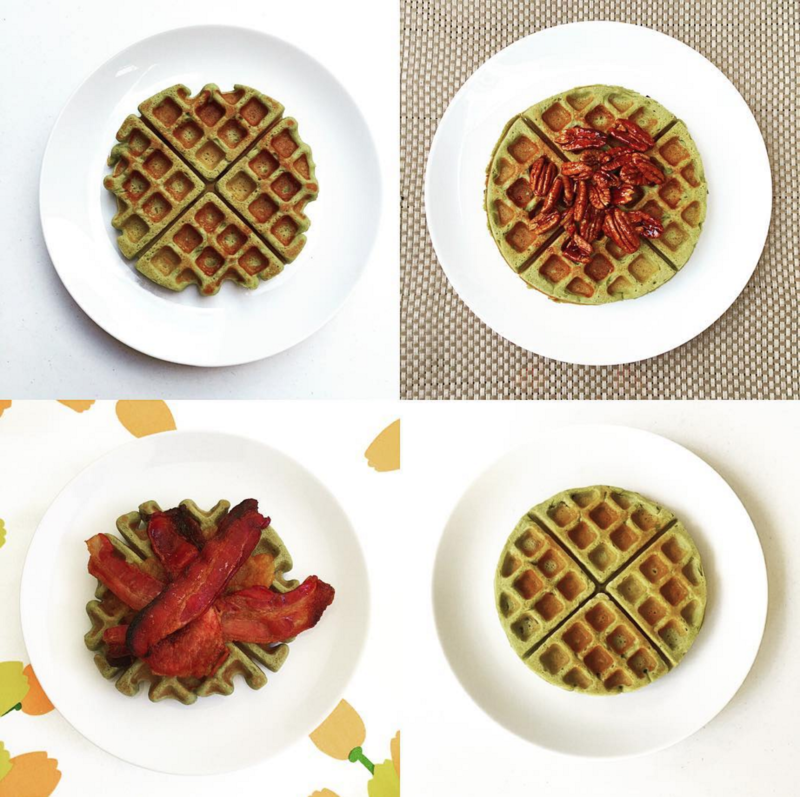 Pour 1/3 – 1/2 cup batter in waffle iron (will depend on size). Close lid and cook until brown.